The days of sneaking sweaty cheeseboards, lukewarm hot chips and half-spilled milkshakes into the movies are over. Your favourite cult outdoor cinema is back for two weeks, and when it comes to food you’re going to be spoilt like the chocolate cake kid in Matilda. 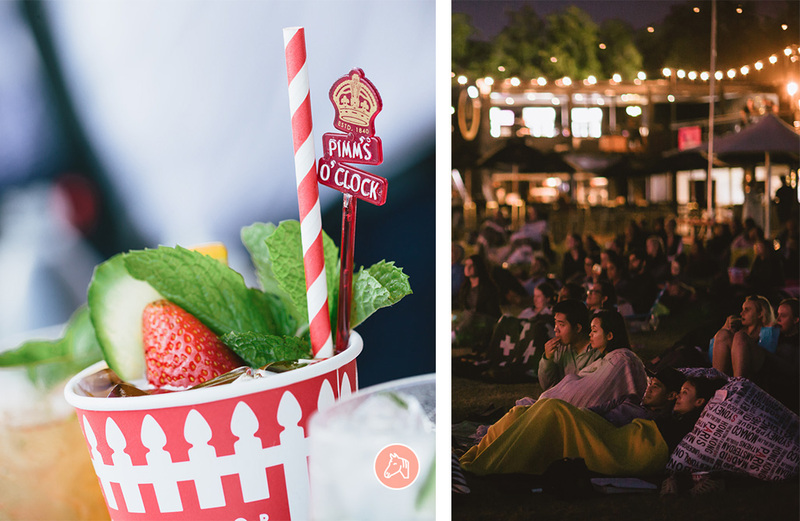 Set on the lush trackside front lawn at Caulfield Racecourse, six of Melbourne’s most popular restaurants will be popping up at Gourmet Cinema, presented by Holden Equinox, over eight nights. Menus are curated to match the film of the night, because don’t you know that themed food tastes better? The line-up includes St Kilda-based Uncle, Richmond’s Benny Burger who will be throwing down its organic, ethically-produced burgers and crowd-fave Hotel Jesus who will dish out Mexican street-style tacos. Authentic fare from Mamasita, souvas from Jimmy Grants and Hellenic Republic’s rich Greek feeds will also be making appearances throughout the program. 196 Below will cover all your ice-cream needs with it's liquid nitrogen ice cream creations. If you reserve tickets in advance at the 196 Below Deck Chair Lawn, you’ll even get a complimentary Artisan Nitro Choc Top, and that is a fine, fine deal if we’ve ever seen one. Modern and ageless cult-favourites include Little Miss Sunshine presented by Jimmy Grants, Top Gun presented by Benny Burger and La La Land presented by Uncle. Bring your girlfriends and your baes (or really anyone who won’t judge you for eating three choc tops over thirty minutes). What: Gourmet Cinema, check out the details here. Editor's note: This article is proudly sponsored by Melbourne Racing Club and endorsed by The Urban List. Thank you for supporting the sponsors who make The Urban List possible. Click here for more information on our editorial policy.